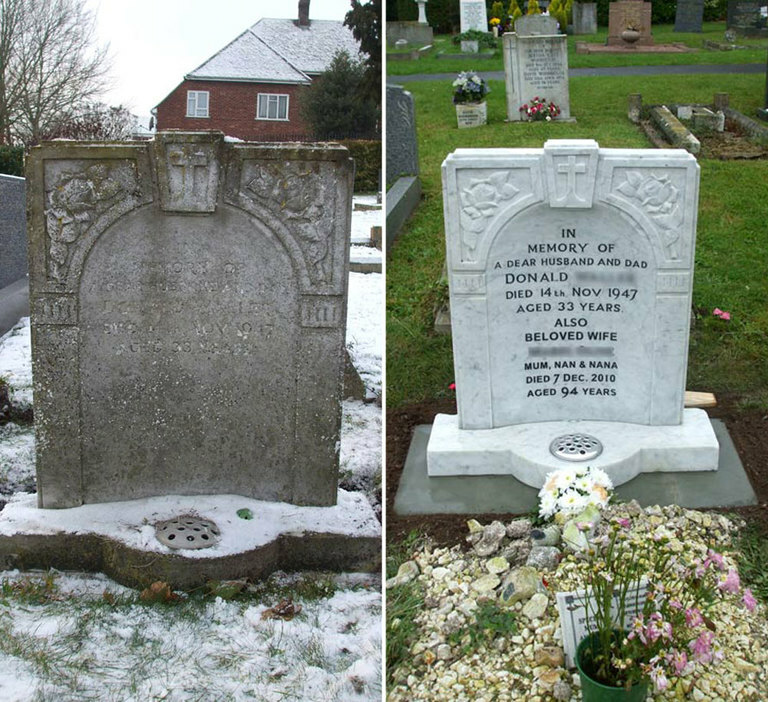 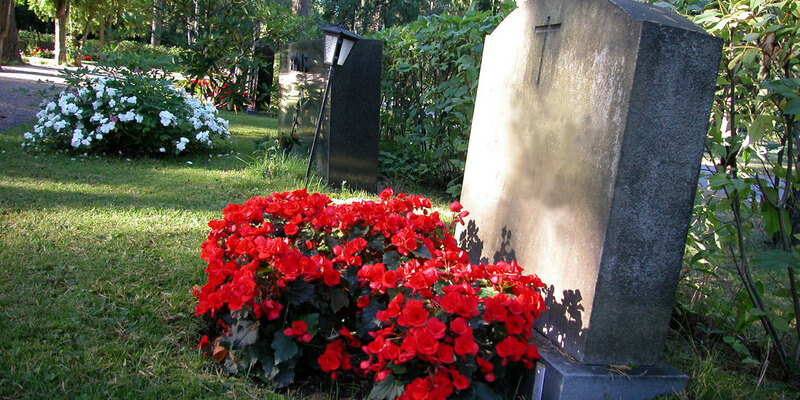 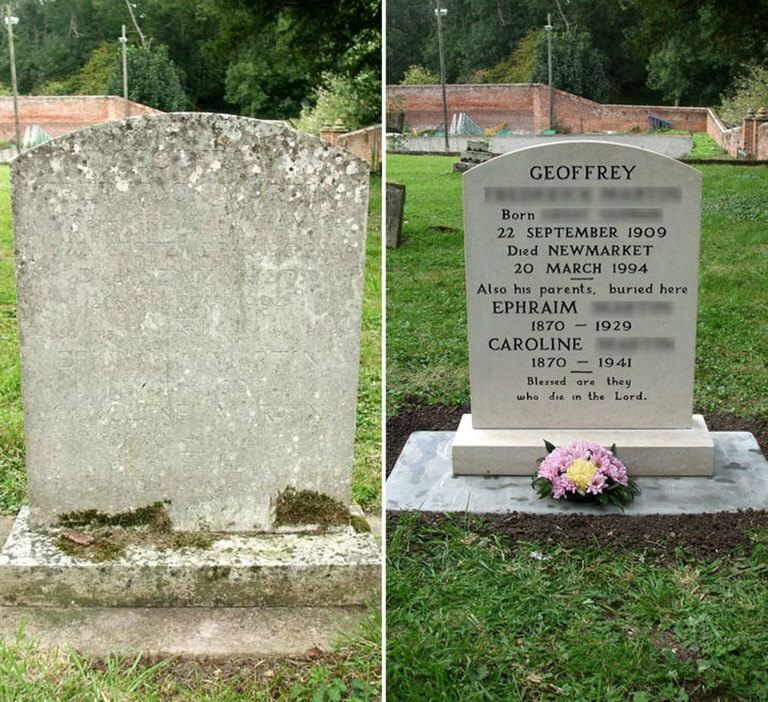 We are able to install new memorials in churchyards and cemeteries, as well as restore existing memorials to their former glory. 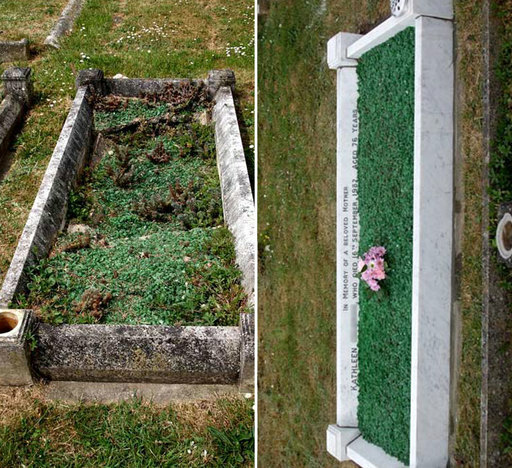 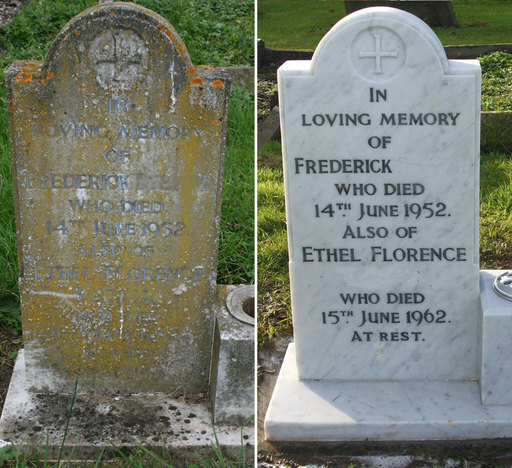 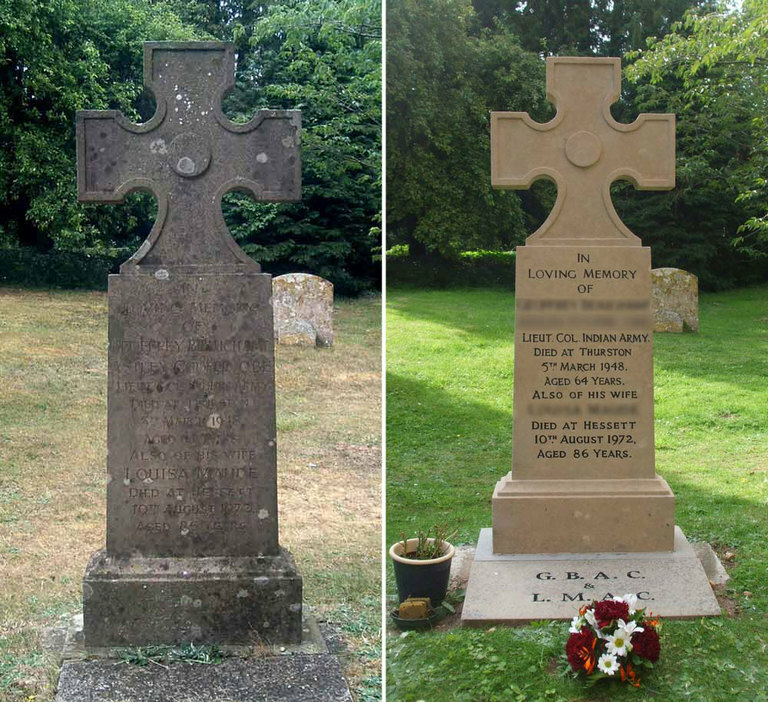 An important part of our monumental services include memorial renovation and restorations. 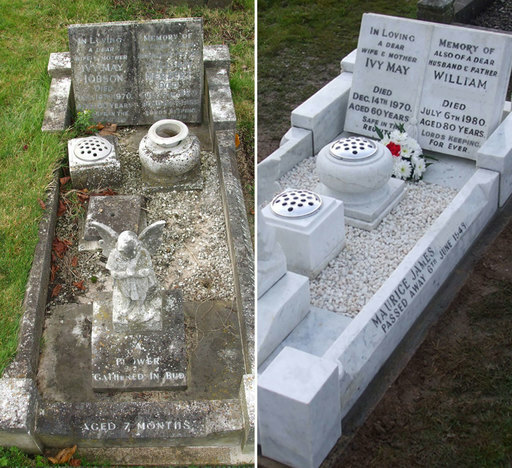 Our team of very experienced fixing-masons have, over the years achieved an extremely high degree of expertise and whilst we cannot always promise a "return to former glory", we can achieve the most remarkable transformations. 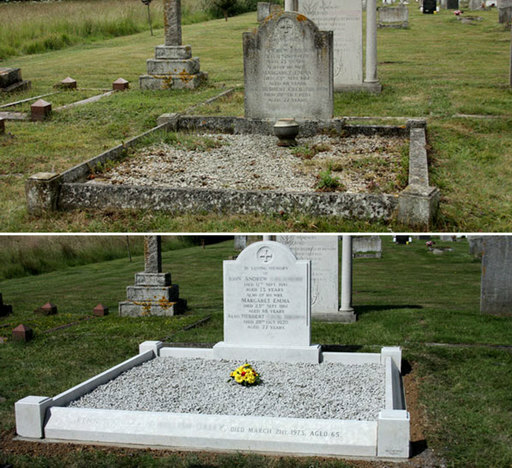 Because we inspect proposed commissions prior to sending out a written quotation, there is a limit to the areas' we can economically cover, this is typically up to 30 miles from Bury St Edmunds. 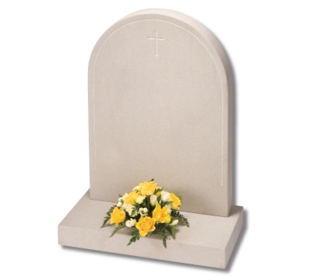 We do go further but this can delay production of quotations. 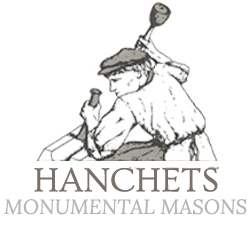 For further information or a quotation please phone us on 01284 754470 or you can email details of your renovation enquiry to us using the form here. 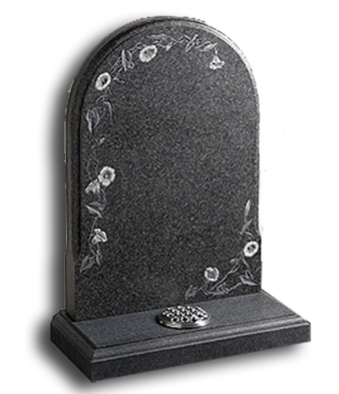 On honed finish, South African Dark grey granite. 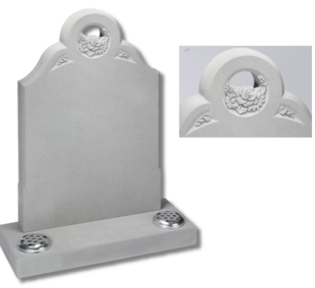 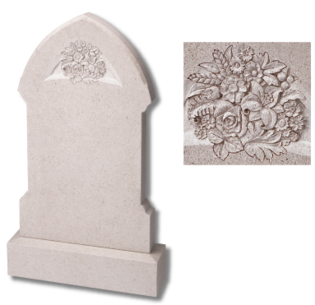 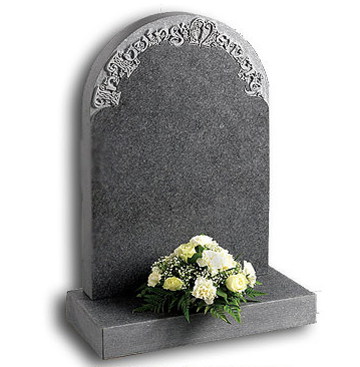 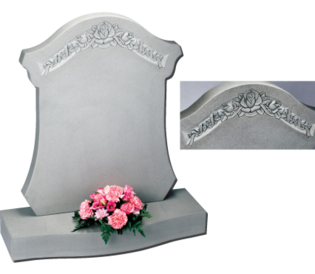 In Karin Grey granite, this gothic shape memorial has a simple cross and painted flower in relief. 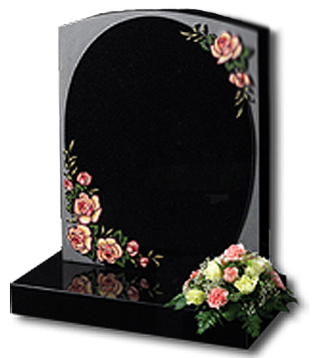 Your chosen inscription is framed within a delicate floral arbour. 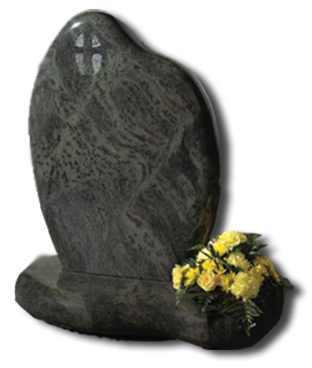 Norman round shape, South African Dark Grey granite. 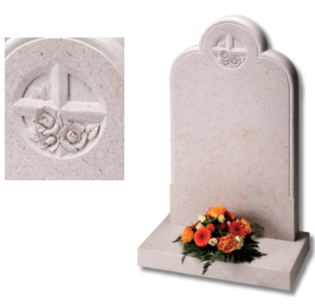 Decorative Celtic lettering in a natural 'churchyard' finish on honed granite. 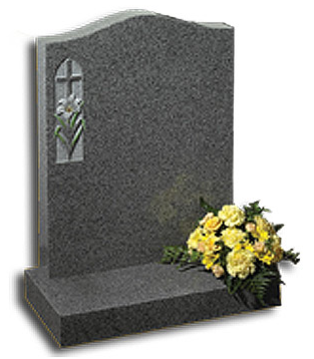 SA Dark Grey Granite for churchyards. 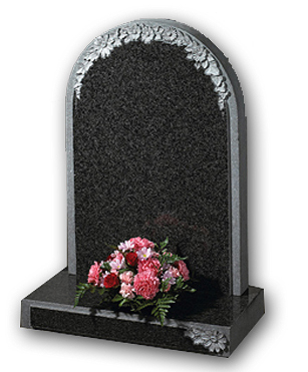 Karin Grey or Black granite. 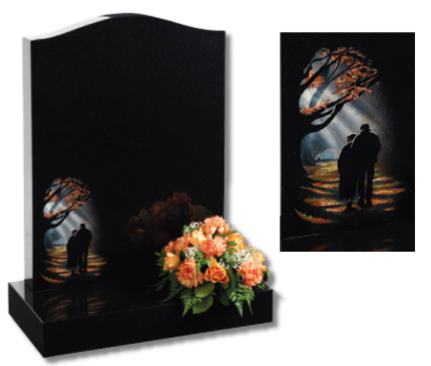 Fresh interpretation of the traditional gothic shape, your chosen insciption is framed within a delicate floral arbour. 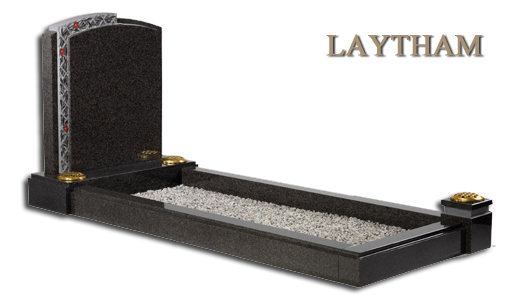 The polished, rounded form resembles stones from the seashore. 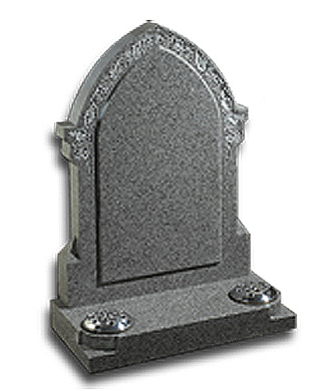 In Lavendar Blue or Imperial Green granite. 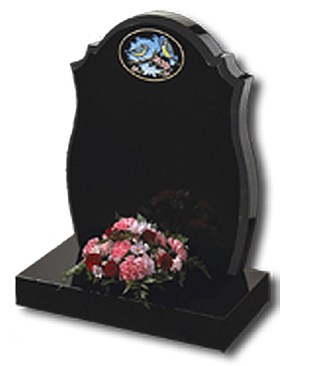 An unconventional, stylised scroll headstone in Black granite. 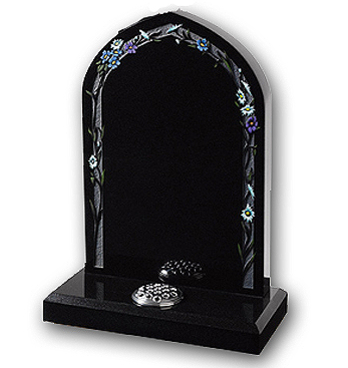 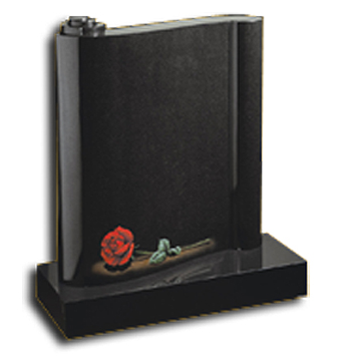 Part polished Black granite headstone with striking rambling rose design. 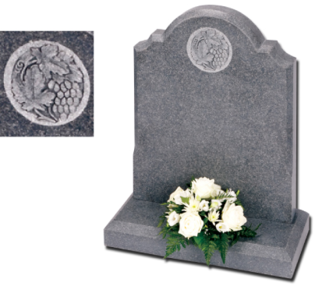 Intricately carved lattice work and contrasting material finishes embellish this South African Dark Grey granite memorial. 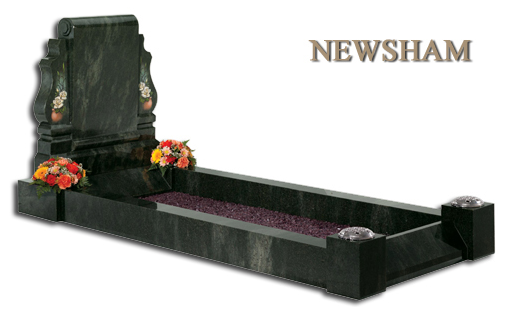 The Imperial Green granite set above comprises the Newsham set with a Stamford headstone and shown here with an alternative 'Rose Bowl' Ornament. 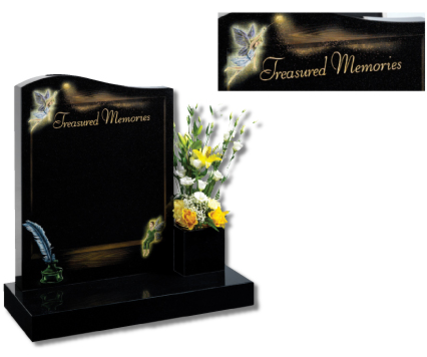 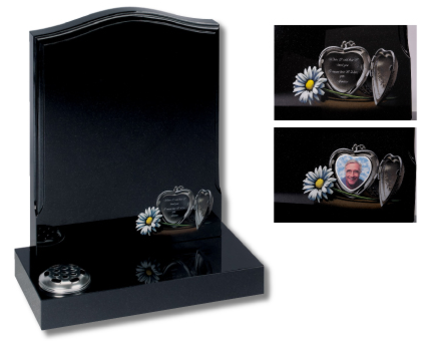 All memorials can be producted in alternative colours and sizes.